The design used on this wall plaque is taken from The Aberlemno Churchyard Cross. The front face of the original stone features a beautiful Celtic Cross decorated with intricate knotwork patterns, and has a complex spiral design at the centre. 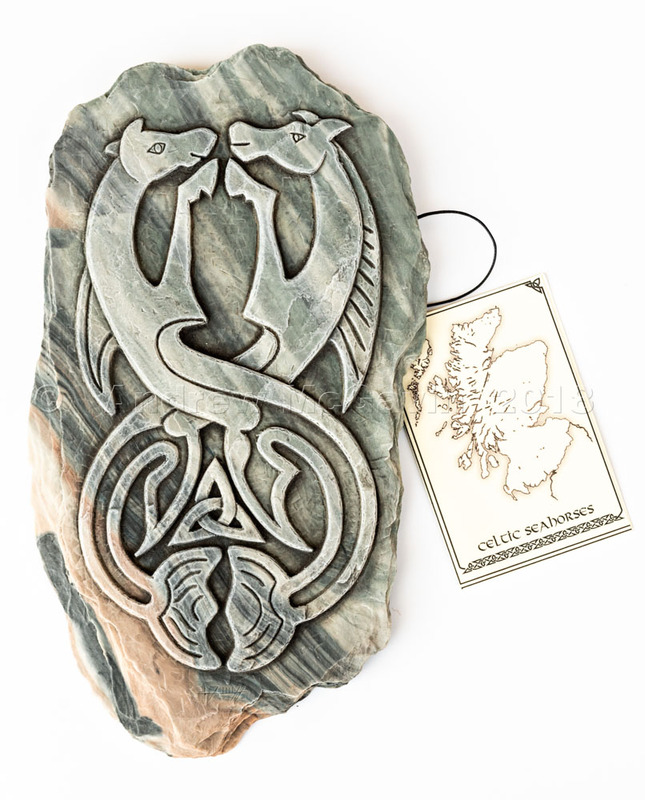 Surrounding the cross are zoomorphic panels, and these seahorses are from this part of the stone. What these seahorses originally represented is lost . Unfortunately the full meanings of Celtic stones are lost and we are left to wonder at the artistic skills of these so-called ‘savages’.